The ultimate concert experience not only features a great band along with great sound but the venue plays a part in the overall success and enjoyment of the evening. Sure, professional musicians playing their best can certainly make up for a bad locale but how about that same concert inside a phenomenal place that begs live music? In my many years of attending concerts I have visited multiple venues but also the same venue multiple times. 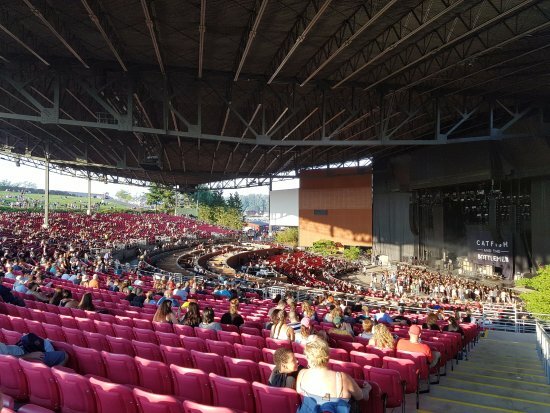 Top level bands usually skip the smaller more intimate theaters which almost always rise to the occasion, leaving little options outside the usual arena or nearby amphitheater. Once inside, most often you probably can’t tell the difference between the Moda Center in Portland. OR and Amelie Arena in Tampa, FL. Thus unique places or venues constructed specifically to complete the overall concert going experience become fan favorites and many times band favorites but unfortunately bypassed once an artist commands a 10,000 seat place. But, in my experience, where do the best places to see a concert reside? No stadiums made this list and those who live in Portland might wonder why the historic but dreadfully confined Crystal Ballroom failed to make the cut and also the Roseland Theater which actually has some allure but the sound quality often fails and its location, among other aspects, keeps me away unless I really want to go. If you’ve ever been to either you’d know why. But others like The Forum in Los Angeles or Irvine Meadows in Orange County, CA have their moments but did not rise to the occasion. Like with all Top 10 lists, to each their own, and though I regularly attend concerts and have visited multiple states and Canada to see shows I readily admit this list falls short in some respects because so many venues exist I have never stepped foot in. Jones Beach, just one example, the Smart Financial Centre in Sugarland, TX another, plus all the cozy halls in between. Therefore, this list comprises only those venues I have visited, reflecting my experiences, so like the previous Top 10 lists comes with the asterisk since this could change sometime in the future as I (hopefully) venture out. 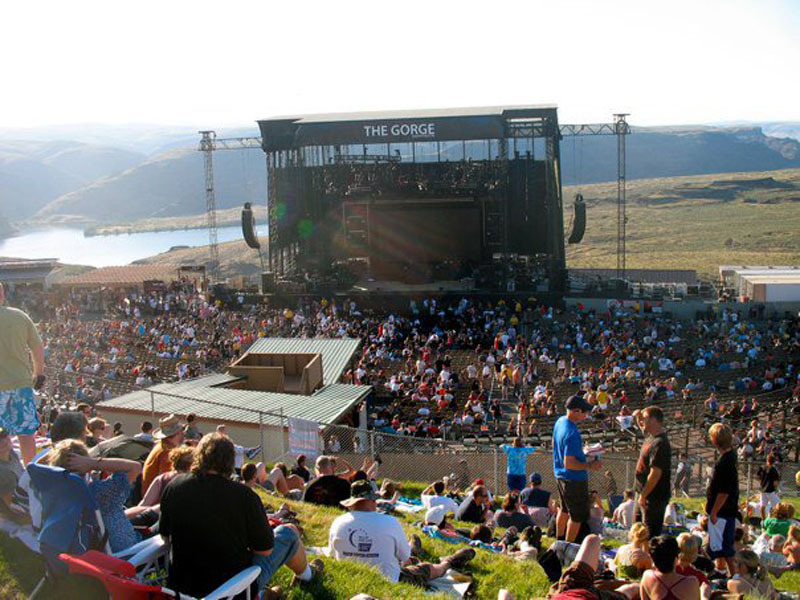 Arguably one of the finest places in the world to see a concert and on many bucket lists, the Gorge Amphitheatre, in the middle of nowhere in a town you probably never heard of, George, WA, combines the beauty of the Columbia River and some of the best scenery of the Pacific Northwest as a backdrop. My two trips there were always assigned seating but the Gorge Amphitheatre represents the only place where I wonder if general admission might provide a better experience. The Gorge Amphitheatre would rank anyway on this list but gets the #1 slot because the best show I ever saw was here: Rush Snakes & Arrows Tour 2007. 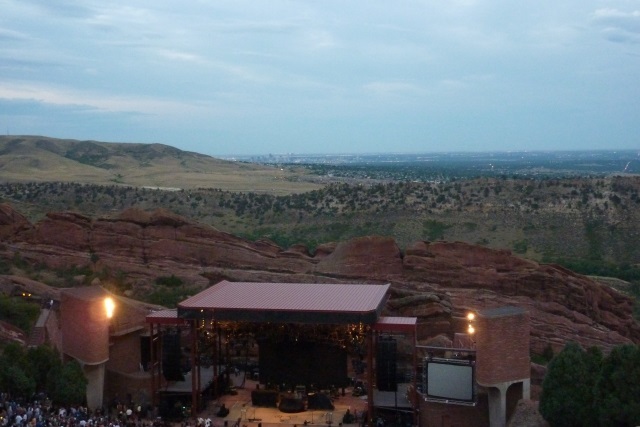 Arguably one of the finest places in the world to see a concert and on many bucket lists, Red Rocks Amphitheatre, in the middle of nowhere just outside Denver, CO, incorporates the beauty of the natural rock terrain into an amphitheater style setting. Yes, I purposely repeated much of the above because the Gorge (as it’s called) and Red Rocks consist of the two best places to see live music. I can attest to the bucket list because when I saw Rush twice for the Time Stand Still tour I met a man from England who flew to the United States specifically to see Rush at Red Rocks – because it was on his bucket list. The topography of Red Rocks is unlike any other and it’s an amazing place. In many respects, Red Rocks demonstrates where the venue supersedes the music. OK, maybe not Rush. 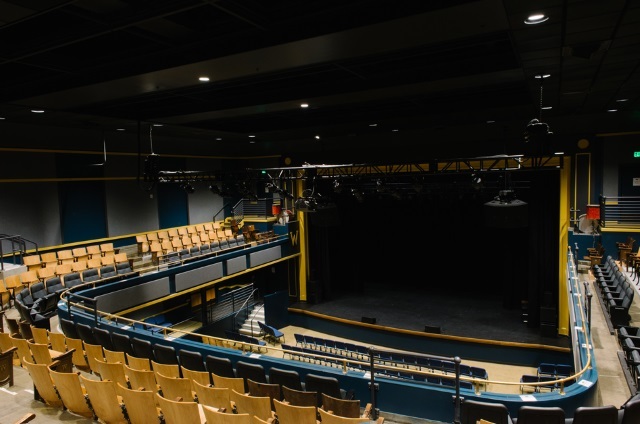 This former high school auditorium turned one of the best places to see a concert in Portland, OR seats under 1,000 people and opened only three years ago. Revolution Hall offers great sound in an intimate setting and brings big time bands. Though Chris Isaak canceled a Christmas performance last year, Revolution Hall has seen the likes of Toad the Wet Sprocket, Midnight Oil, Adam Ant, and Toto. Ninety years old and counting the Elsinore Theatre in Salem, OR has some of the most beautiful architecture I’ve ever seen. Located in downtown Salem this theater comes across rather unassuming surrounded by restaurants and other typical shops that make up a downtown setting but once inside, you get transported inside a castle somewhere in ancient England. Though twice as far than Portland, I’d see a show here hands-down anytime compared to most of the offerings in Oregon’s largest city. You have found something special when acts like Duran Duran, Brad Paisley, Steve Martin and Martin Short, and Steven Tyler bring their music to a 2,000 seat venue. 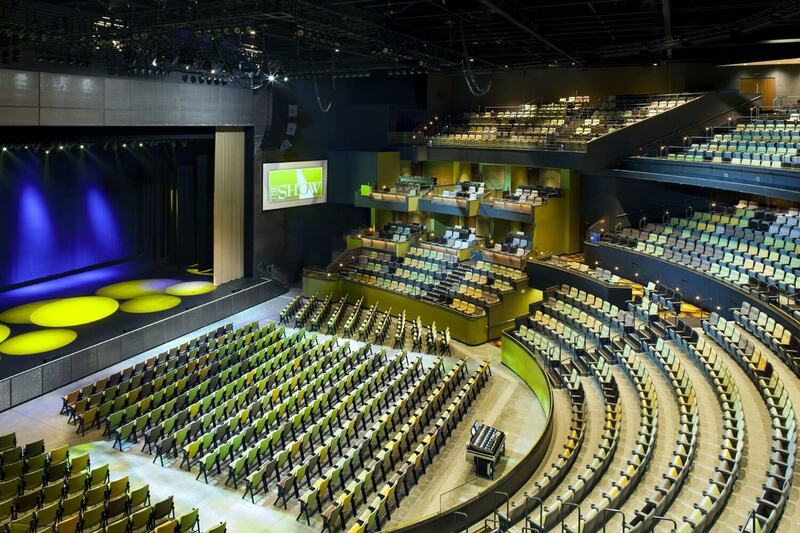 The Show is nothing less than a state-of-the-art concert hall located at the Agua Caliente Casino just outside Palm Springs, CA. Little else compares to the sound, setting, and seating inside this three-level venue offering unrivaled intimacy and comfort that clearly attracts some of the most popular bands on tour today. The “big box” amphitheaters that most A-list bands visit while on tour usually leave something to be desired. For whatever reason, these 15,000 seat venues seem to have one road in and one road out making your drive home longer than the concert. White River is no exception and at one time offered a bus service to and from the venue that got you home at midnight rather than 2 a.m. However, White River feels smaller than other comparable amphitheaters, of course covers the seating area because it does rain a lot, offers solid acoustics and dare I say has rather attractive construction. Another place offering phenomenal architecture “The Schnitz” as many call it, opened more than 90 years ago and the old school rockers know it as the Paramount Theater. 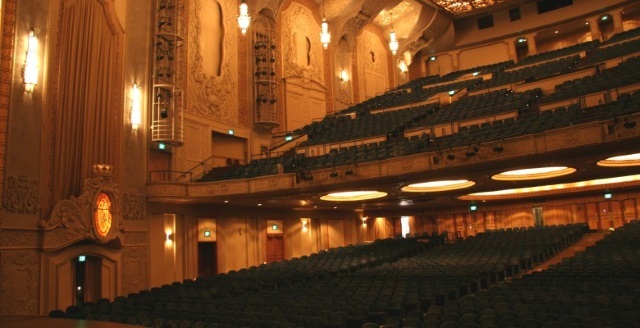 Three levels of seating make up Downtown Portland’s best venue for concerts. Add the intricate design and old world look the Arlene Schnitzer Concert Hall holds the recognizable “Portland” sign a landmark of sorts for Portlanders. 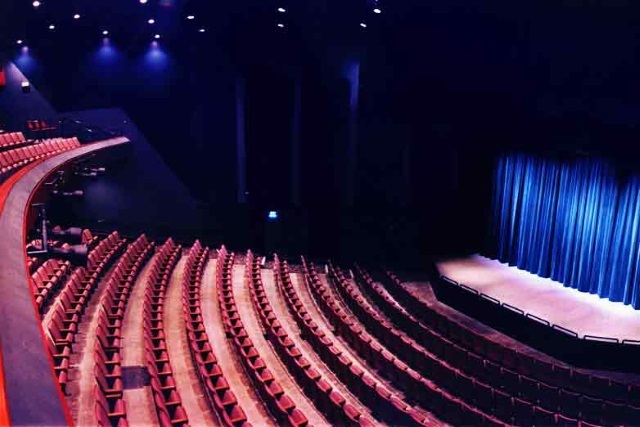 The venue entertains audiences from rock concerts to stand-up comedy. 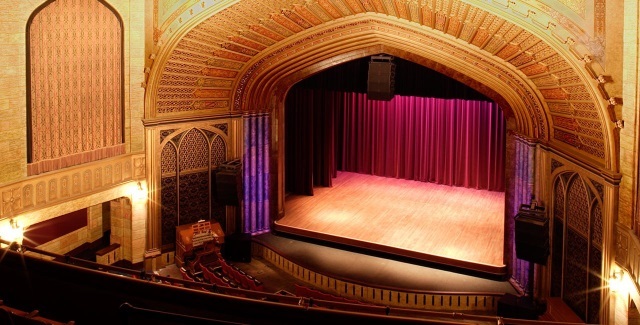 An old movie house originally built in 1924, the Craterian Theater was refurbished 20 years ago into a performing arts center which hosts plays, ballet, stand-up and of course concerts. The inside, near immaculate, hardly showing two decades of use and the sound quite possibly perfection. It’s billed as a state-of-the-art venue and indeed it is. 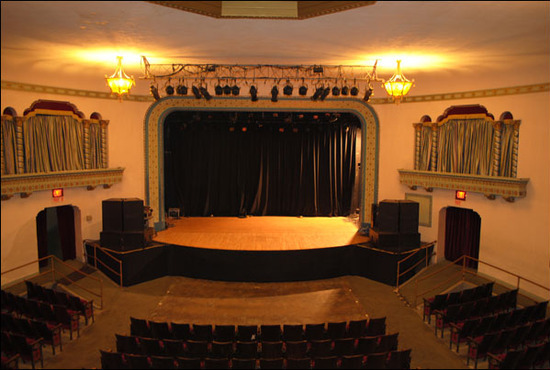 The Aladdin Theater always feels under the radar but indeed this small venue has seen some of the biggest acts over the years maybe not in their heyday but certainly prior to their ascension or later as part of an alternative ensemble. It’s old, that’s for sure, more than 90 years now but age imparts the charm and the place wears maturity well. Who would have thought Tulsa, OK could command such big name acts. It seems everyone nowadays stops by the BOK Center, built in 2008 and an absolute gem of an arena. 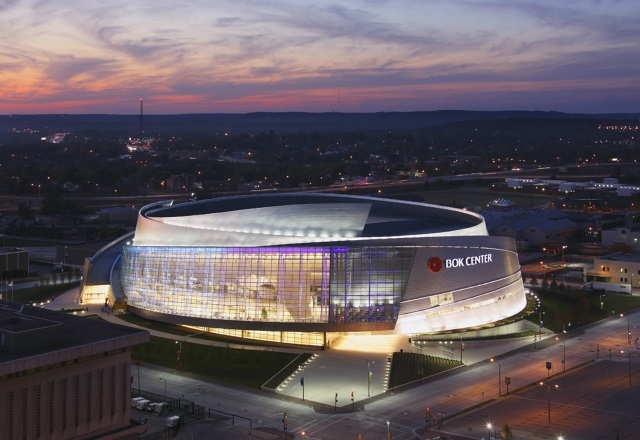 Yes, once fully inside, this arena looks much like any other arena but behold the outside construction, quite majestic with stainless steel and glass walls swirling around the outside – much like the tornadoes that buffet the region. An authentic sound that doesn’t disappoint along with a more than friendly staff ranks this traditional basketball and hockey setting above any other visited on my tours. 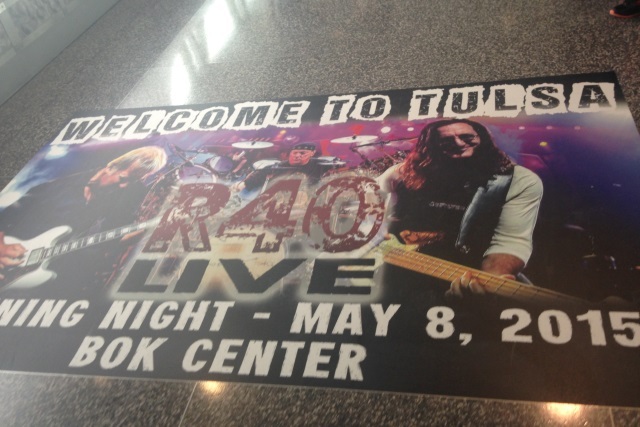 Oh, don’t be surprised if you fly to Tulsa for a show to see a floor mat at the airport honoring the band you plan to see and welcoming you to the city. Lol. Not at all. As I stated these picks were subject to my experiences and I know full well so many exist I have not been to. Thanks for your contribution, I’ll keep it in mind!